The mobile era and users generating much more traffic via smartphones than computers and laptops, have made it necessary to use the PWA technology, which best combines mobile and web applications. It saves time considerably, works as an app, and adjusts to any screen. Google has been tweaking it for the past four years to fit the changing needs of users, and it is surely going to stay here for long. PWA is more than a temporary trend; it is a technology which perfectly responds to users’ growing needs, so knowing about it is simply a must for everyone who wants to simplify access to their offers and data to customers – this is proven by mobile apps traffic, which for a long time has been higher than desktop traffic and continues to grow, as well as the fact that Apple, which had been resistant to introducing PWA to its iOS system, did provide the support in the latest Safari version – it still does not allow to use all the PWA assets, but it is a huge progress and a good omen for the PWA technology. It works as a native mobile and desktop app – also in offline mode, it displays notifications, allows to use such functions of the device as: camera, localization, QR codes or gesture navigation. You don’t have to download or update it, the icon on the main screen provides an easy access. 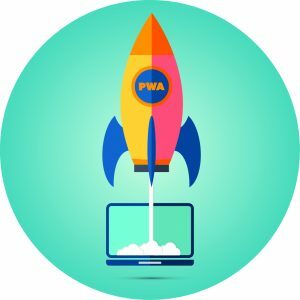 PWA technology is serviced via HTTPS (encoded version of http protocol). 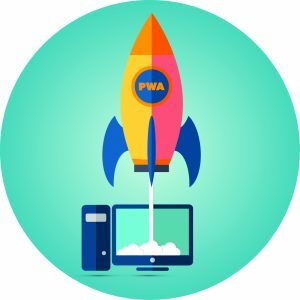 This means PWA combines all that is best in using the Internet via a browser or application. continuous work – offline and with poor connection. Those several seconds saved make users involve much more frequently, they get what they want immediately, before they get bored by data buffer or updates installation – they go further and remain on the site. 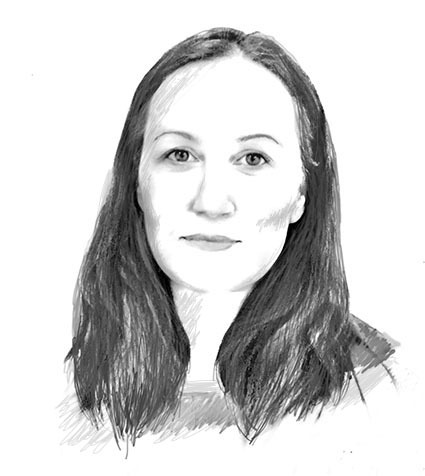 Those seemingly trivial advantages are becoming the driving force of technological progress. Making the access easier and saving users’ time, they allure and easily convince them to extend the romance. In order to quality an app as PWA, it must meet at least 75 percent of the requirements defined by Google, which created an additional tool called Lighthouse – allowing to audit a website and based on the result, adjust it so it can become a PWA application. HTTPS protocol. The website must be offered as HTTPS. Responsive Web Design. The website’s layout and design must automatically adjust to the size of the display and the resolution of a given device. Offline work.The application must be able to start even when there is no Internet connection. Start screen. The application must be capable of pinning it to the start screen. Loading speed. The application must load quickly even with when the connection is weak. Operation in all browsers. The application must operate correctly in Chrome, Edge, Firefox and Safari. Reactive.The application must quickly respond to user’s actions, such as switching screens. URL address. Each application site should have its own URL address. Alibaba, world’s largest marketplace, recorded an increase in conversion from all browsers by 76 percent after introducing PWA technology. Forbes increased the session duration time by 100 percent, and its website gets loaded in 0.8 seconds. Starbucks doubled the number of active users, increasing the number of orders not only via smartphones, but also laptops and stationary computers. AliExpress recorded an increase of new users in all browsers by 104 percent, and a conversion increase by 82 percent. Pinterest is enjoying a conversion increase by 60 percent and a 50 percent increase of revenues from advertising. Trivago recorded a 97 percent increase in conversion, and over half million people added Trivago PWA to their home screen. Lancôme, which had a huge problem with traffic from smartphones, after introducing PWA recorded an increase by 50% exactly where the company wanted. Tymbark used PWA for its campaign “Daj się połączyć”, in which the picture was analyzed and the recording was personalized in real time. In the first month since the campaign launch 500,000 recordings were viewed.